Cracked Wheat Bread is another one of my fabulous Black and Decker Breadmaker recipes. I had to look all over creation to find cracked wheat though! I wasn’t looking in the right places. Sprouts and other wholefoods markets sell it on the aisle with hot cereals by Bob’s Red Mill. For this loaf of wheat bread I used 4 teaspoons of vital wheat gluten (which is what the product says you should put in each bread loaf) and WOW!!! 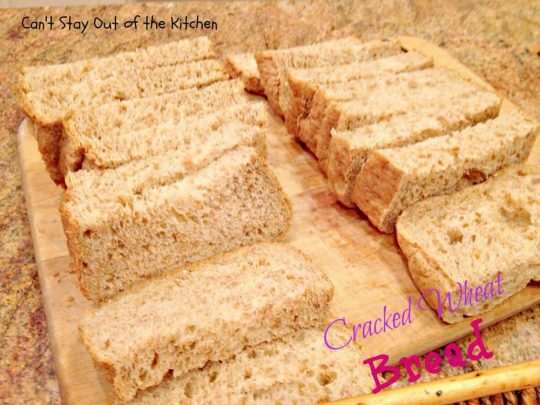 Cracked Wheat Bread came out so light and fluffy – not dense and hard like most heavy wheat breads turn out. I was MORE than pleased with the results! 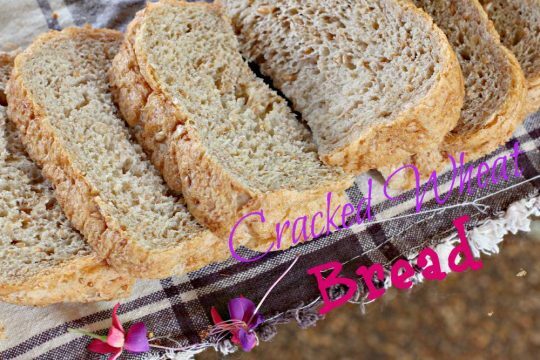 This simple recipe is just layered in your breadmaker canister and baked a little over four hours in your breadmaker oven. 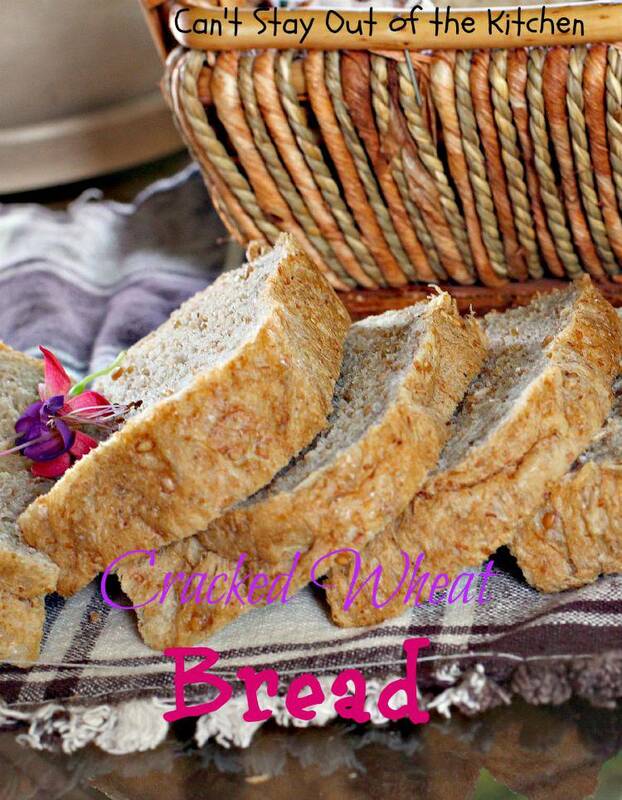 The vital wheat gluten makes this bread turn out perfect. I will admit to being a little bit of a chicken when adding four teaspoons of vital wheat gluten rather than the two I tried with my Buttermilk Wheat Bread a couple of weeks ago. But the bread turned out so much better with four teaspoonfuls of vital wheat gluten versus two that I’m a believer! 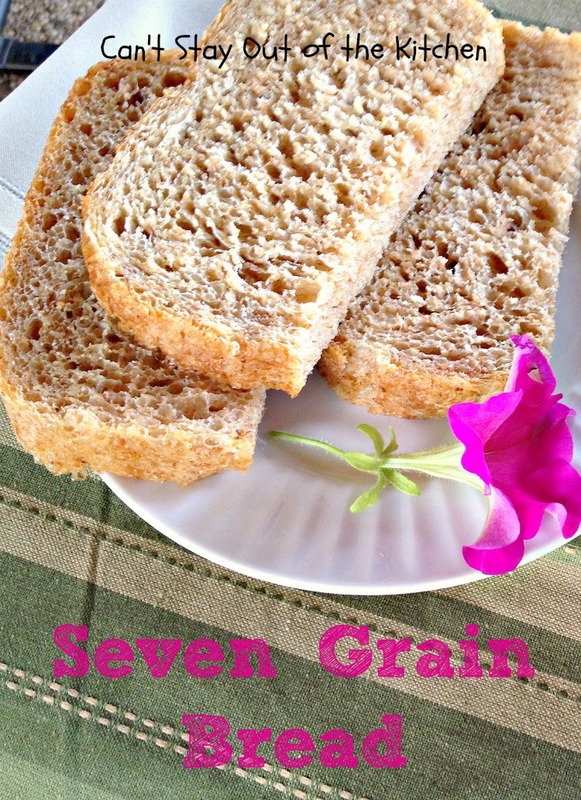 For those of you with gluten allergies and intolerance this recipe isn’t going to help you, but this is an excellent bread that you can make even healthier by substituting canola or olive oil for the shortening in the recipe. If you’re looking for healthy substitutes to store bought whole wheat bread that are still filled with preservatives, MSG, and other fillers that are harmful here is a good recipe to try. 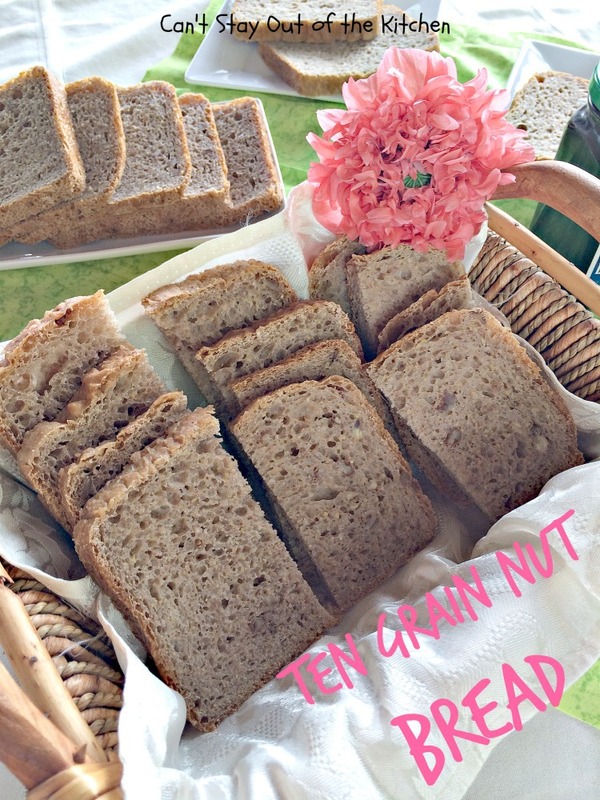 By all means, pick up a box of vital wheat gluten at Wal-Mart or other grocery stores–it will be well worth it to have your wheat breads turn out so wonderfully. Cracked Wheat Bread is a delicious accompaniment to any meal. This close up shows the texture of the bread. Cracked Wheat Bread is a great tasting bread and so easy to make because you just layer ingredients in the breadmaker! 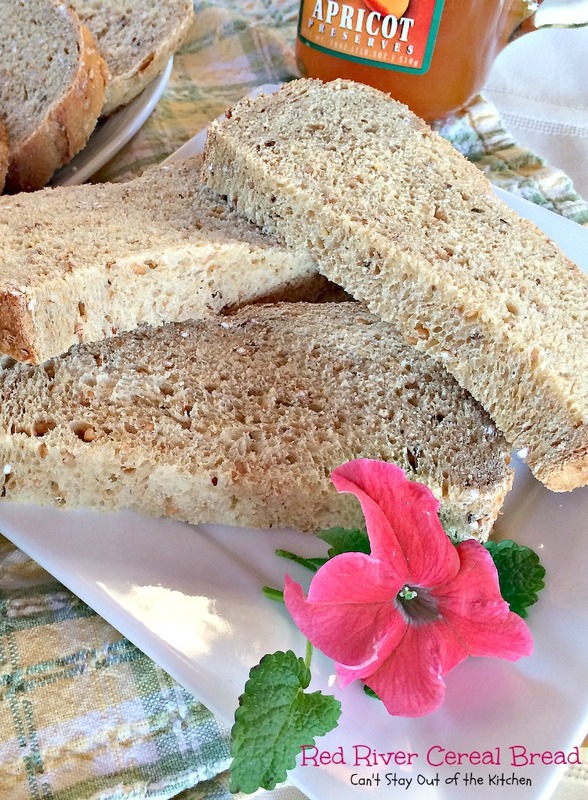 When I cut this bread down it was so soft and fluffy as a result of adding the vital wheat gluten. It made all the difference. 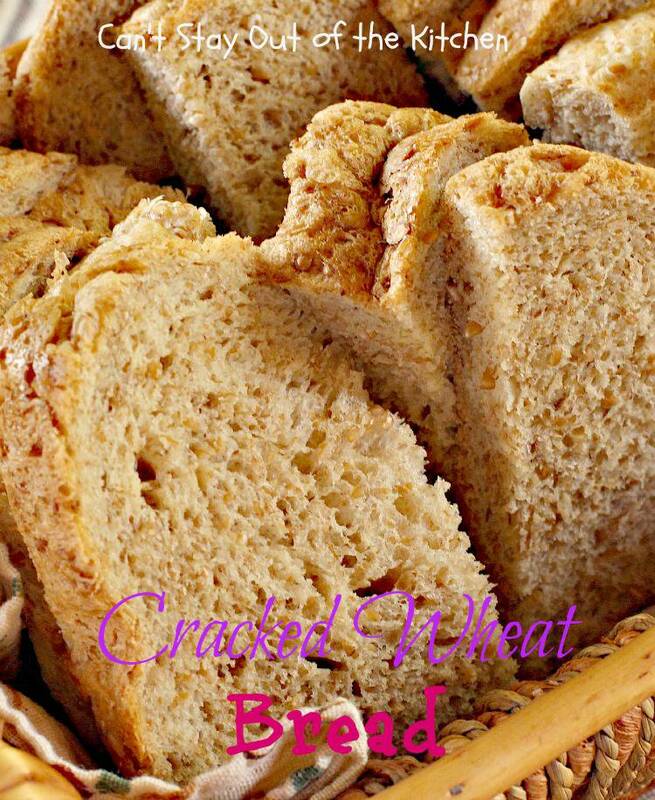 Cracked Wheat Bread is great with soups, stews, and chowders. I made mine to go along with Herbed Beef Stew the other night. Measure hot water and place in bread canister, add powdered milk, Crisco shortening or canola oil, honey, salt, whole wheat flour, and bread flour. Use bread flour NOT regular all-purpose flour because it has more gluten so the particles of flour will adhere to each other better than regular flour. If you use all purpose flour the bread can turn out crumbly. 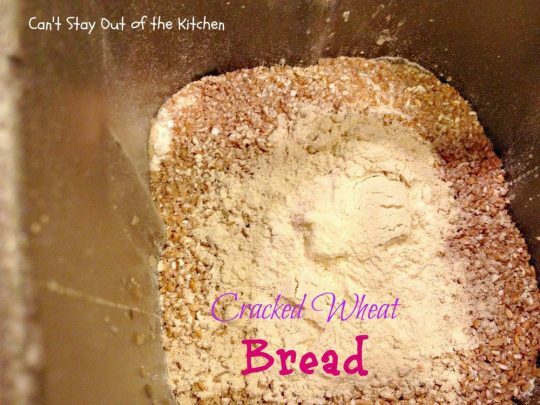 Add cracked wheat, bread machine yeast and four teaspoonfuls of vital wheat gluten. This is crucial to having a light, fluffy bread, rather than an Ellie Mae Clampett “Beverly Hillbillies” style brick-type bread. Set the breadmaker on the whole wheat bread setting. Mine takes four hours and ten minutes. Allow bread to cool about 15 minutes. Butter bread on tops and sides to prevent hardening of the crust. Cool another 15 minutes before slicing. Slice bread in half with an electric knife. Slice down bread. This recipe provides about 20 half slices. 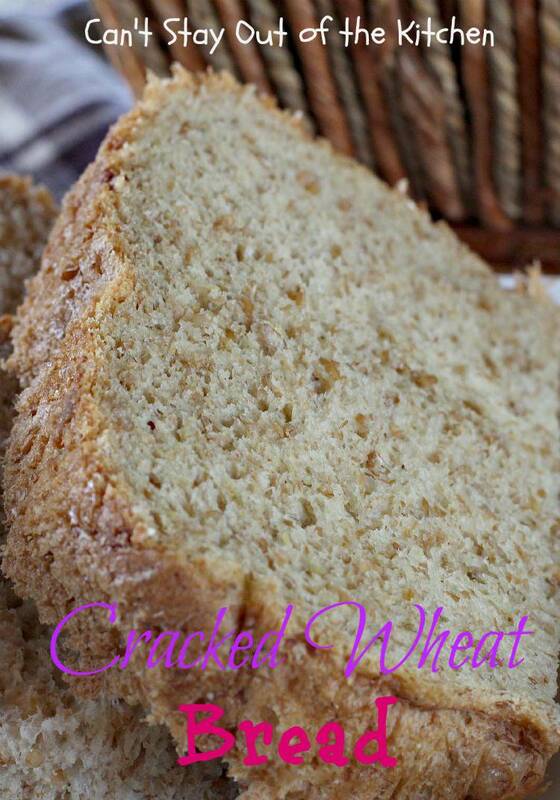 We love the taste of Cracked Wheat Bread. It has just a hint of honey. Cracked Wheat Bread is also great to serve for breakfast. Just toast the bread and slather it with apple butter. Yummy! 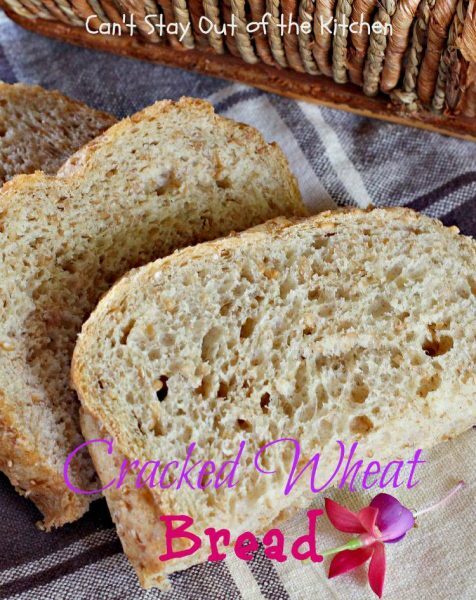 Cracked Wheat Bread is a great accompaniment to any meal. This bread turned out so wonderfully. I love a light, fluffy-textured bread. Delicious homemade breadmaker bread using whole wheat flour and cracked wheat for extra fiber and whole grain goodness. Measure ingredients into bread canister in order given. Bake on whole wheat setting. Mine takes 4 hours and 10 minutes. Allow to cool about 15 minutes before removing loaf from canister. Butter sides and top of bread with butter to prevent the crust from hardening. 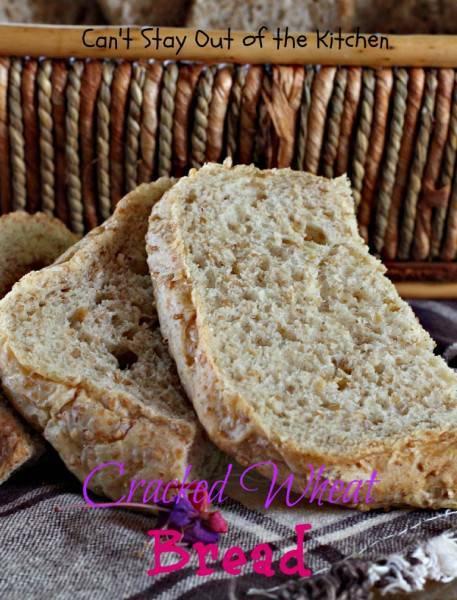 NOTE: Homemade bread has no preservatives and must be refrigerated after 2 days. 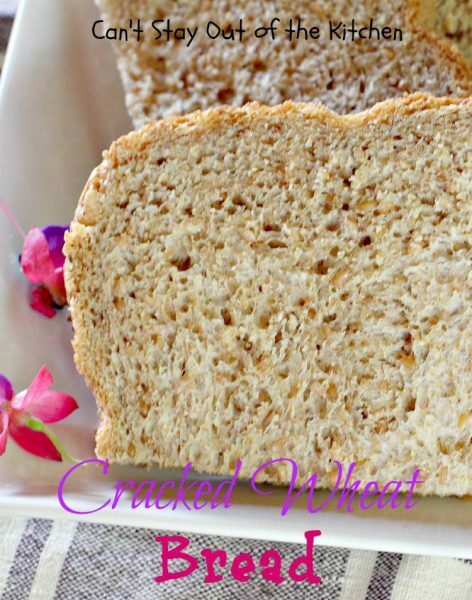 Doesn’t Cracked Wheat Bread look wonderful? Come on over and grab a slice. 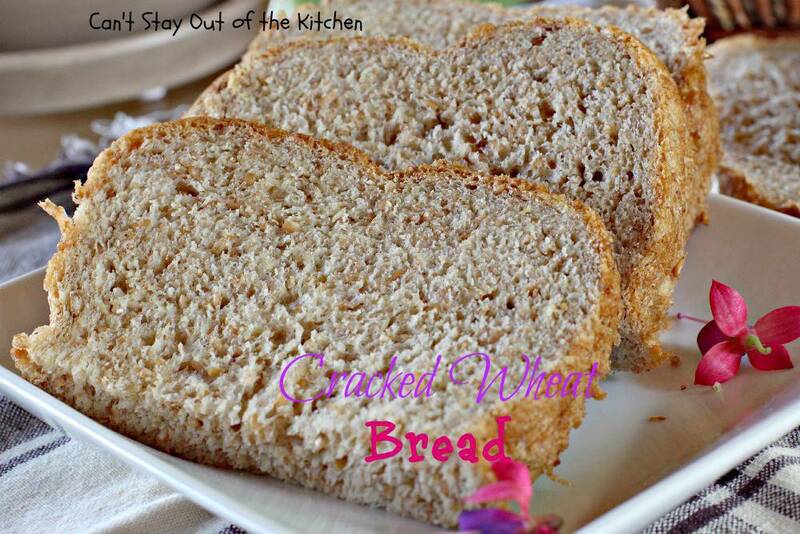 Cracked Wheat Bread slices up really nicely. You can use it for sandwiches, too. I want to rate this recipe but I don’t have a bread machine. Can this Cracked Wheat recipe be made from scratch? I’m looking for the soft and airey cracked wheat recipe. I hope you respond:) Thank you! MJ, I think you probably can make this from scratch, but you will have to go back to your normal recipes and add the ingredients according to those patterns. Additionally, you will probably have to use a lot more bread flour to work into the dough as you’re kneading it. Why not give it a try? I would make sure you add the vital wheat gluten and have a warm place for the dough to raise. Also make sure there are no air drafts so the yeast isn’t killed. Please let me know how it turns out. Thank you for adding my gluten free bread recipe.